There are many purposes for using a motion activated security camera. Portably, the most popular reason for using the motion activated security camera is to conserve electronic resources. On the other hand, these cameras may be used for an entirely different reason; to provide alerts like an alarm system when something is there. There are also several different types of motion activated security cameras. In this article, we’ll explore how these cameras work, describe some of the more popular types, and talk about what how they may be used. 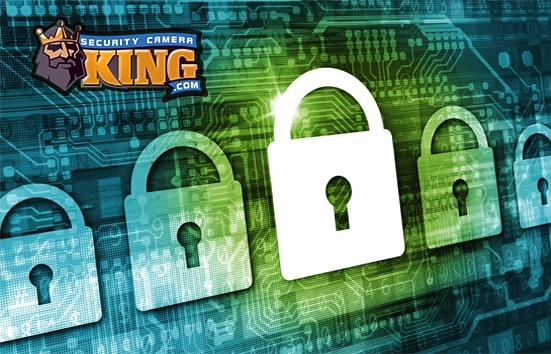 Many of today’s digital video camera security systems use wireless cameras. This option provides great versatility in camera mounting types and locations. A wireless camera does not require the usual RG-59 or similar type of cable to be run directly from the camera to the Digital Video Recorder or DVR and or monitor. Instead, the camera has a built in radio transmitter and an on-board antenna. It converts its video data into a radio signal and transmits it via the transmitter/antenna combination to a corresponding receiver or a DVR that contains a built in receiver. As noted above, this can provide great freedom in cameral location and mounting choices. However, the camera still needs a power supply. So a power supply wire needs to be run from either a nearby outlet plug (if there is one) or from a power distribution box. Since the wireless camera has gained great strides in achieving freedom from the wireless transmission, the power supply wire could possibly continue to restrict that freedom. So, enter the new battery operated wireless, digital video security camera. However, these cameras can place a hefty drain on batteries requiring frequent replacement or recharging. So what is the solution to unnecessary battery drain? A motion activated security camera. These cameras contain an on-board motion detector that turns the camera on when it detects motion. Since the motion detector itself consumes a fraction of the total power that a recording camera does, battery power is greatly conserved and battery life or recharging periods are greatly lengthened. This same sort of principle is also used on hidden, disguised, or covert cameras. Due to the nature of these cameras, they are often subjected to running on battery power. Once again, a 12 hour recording of an empty room can not only be wasteful, but use tremendous amounts of battery life. Make the device with a built in motion detector and the camera is now a motion activated security camera. 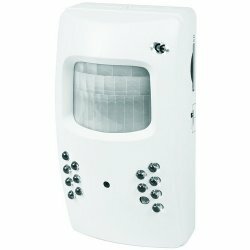 The types of cameras we’ve mentioned so far work by using a Passive InfraRed (PIR) motion detector. The PIR has the ability to sample the average heat signature in the field of view of which it is aimed (usually the same field of view as the camera). When an object with a different temperature than the surroundings, such as a body, a vehicle, etc. passes in front of the PIR it can detect this sudden change in the heat signature of the field of view. The PIR interprets the heat signature change as an object in motion. The PIR is connected to an electronic relay such that when motion is detected, the PIR tell the relay to turn the switch on to the camera and start recording. The camera either stops when the PIR no longer detects motion or at a designated time period when after motion ceases. There is another type of motion activated security camera that doesn’t work on the basis of Passive InfraRed activity. This camera is usually left in an “on” state where it is constantly capturing the visual image in its field of view. Instead of using a PIR, programming analyzes the video image that is being captured to determine if there is a change in any of the basic patters of the current field of view. When a change is detected, the camera is activated such that although it is already on and capturing video images the camera now initiates processing and recording. In other words on this type of system, the camera is on an capturing but not necessarily transmitting its video data to a monitor or DVR. However, when the on-board programming detects a change in the otherwise motionless scenery, the camera initiates full recording and transmitting of its video signals. This particular type of motion activated security camera is often used as a Pan-Tilt-Zoom camera that can track and follow objects based on the motion that it detects.